This nicely updated 2 BD, 2 BA Benson House main floor condo is ideally located within walking distance of downtown Bryn Mawr in popular Lower Merion Twp. This well-run, secure building offers concierge service 7 days a week. 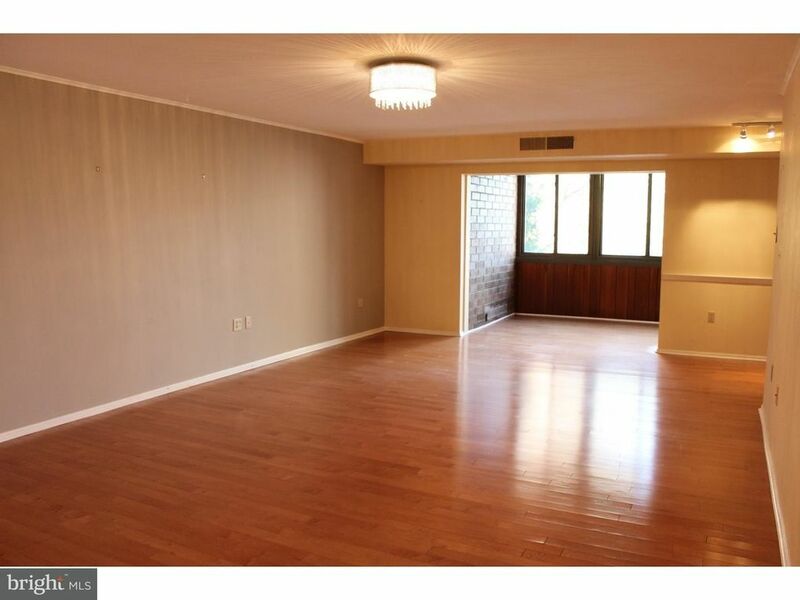 Gleaming wood floors and neutral paint tones make this condo move-in ready, and a quick settlement is possible. The renovated Kitchen has newer cabinets, newer white appliances, and newer counters. In addition to an expansive Living/Dining Room, this home has a brick-walled Sunroom which could be used as a separate Office. The bright Master BD has wood floors and a new walk-in closet, plus there is a Hall BD with closet and neutral wall-to-wall carpeting. The Hall BA has white tile, bathtub, cabinets, and tile flooring. The Master BA has newer cabinets, a vessel sink, white tile walls, and newer tile flooring. Laundry chores are easy with a full-size washer/dryer IN the unit. New furnace in 2016. New A/C in 2010. New Hot Water Heater in 2012. Ample extra storage space abounds, with a wide, extra-deep Entrance Hall closet, large utility closet with built-in shelving, and a storage unit downstairs that can accommodate overflow & outdoor gear. Benson House common space amenities incl. a community social room with TV and Kitchenette and Fitness Center. Ample on-site parking is available for residents AND visitors. This unit is on the main floor of the building, which minimizes the need to wait for elevators. You'll love the convenient location near shopping, playground, restaurants, Bryn Mawr Film Institute, Bryn Mawr Hospital, schools, universities, and train station in downtown Bryn Mawr. A new shopping center which includes La Columbe, Tredici Enoteca, Turning Point, and Bryn + Danes is just a 5 minute walk from this centrally-located building. Easy access to Center City, Blue Route, and Airport too. Seller has made many upgrades over the years and this unit is being sold as is.